Home › Freedom-Expressed › Argentina Kicking Out Central Bankster Clubmember An Act of Defiance! A speech made by Argentina’s President Cristina Fernandez is said to have culminated in the resignation of the Governor of the Central Bank, Juan Carlos Fábrega. MOSCOW, October 2 (RIA Novosti) – Argentina’s Central Bank Governor Juan Carlos Fábrega resigned from his position Wednesday [1 Oct 2014], a day after a speech by Argentinian President Cristina Fernandez highlighting the country’s economic problems, some of which were said to be connected to the activities of the Central Bank, the Wall Street Journal reported. ☼ The MSM have censored President Christina Fernandez, while other media reports are portraying Argentina’s government as a chaotic mess. Argentina’s President Sees Jewish Conspiracy? The West’s central bankers’ club is out of favor with the Argentina government. Argentina regulators are attempting to gain control of Argentina’s currency and monetary policy by investigating banking fraud. Pres. Christina Fernandez requested the U.S. government to accept jurisdiction from the International Court of The Hague to solve the controversy between the two countries”. It would be prudent for Argentina to be on Alert and add Presidential protection after embarrassing the Western Bloc Leaders. Most of the comments below are mine, please click on the links to get the flavor of the alternative views. I shaded my comments and/or placed them in [brackets]. [Argentina has been burning on my consciousness all year! Argentine Banking System Archives Destroyed By Deadly Fire! Central Bank President Juan Carlos Fabrega resigns! Alejandro Vanoli, president of market regulator CNV is the new Central Bank Governor. CNV securities regulator chairman Alejandro Vanoli was picked yesterday to be the sixth Central Bank governor of the Kirchnerite era after Juan Carlos Fábrega’s surprise resignation. [The Argentina plot is thick, as the government is attempting to wrestle control from the central bank and puppet masters from the international monetary club (G7, Wall Street, London, etc). It was during this national broadcast that the president also suggested that Gonella’s proposals to reform the Penal Code regulating the foreign exchange market could be a positive step. The president had also criticized the Central Bank’s handling of violations of the exchange-rate law, affirming that “thousands of files” about criminality in the foreign exchange markets were waiting in vain for the Central Bank’s decision to act on them. Policy making, aimed at controlling inflation had become increasingly erratic as the monetary authority got sucked into a tug-of-war with the pro-growth Economy Minister Axel Kicillof [equivalent to Lew Treasury secretary]. [I am not sure if Fábrega was a bankster (BIS) fraternity member, but if he was a club member then his departure will likely be retaliated from the international monetary club and SWF institutional investment. Vanoli takes over the helm of the cash-strapped Central Bank with foreign reserves standing at US$27.9 billion — or roughly four-and-a-half months import cover, while the peso has fallen through a series of record lows since the July default. Argentina needs help from international friends! *Argentina is attempting to clean house of the leading criminal gang. Remember what Perkins wrote about economic hitmen and military. President Cristina Fernández said in a fiery speech Tuesday. Fernández and her government have been infuriated by the U.S. government’s refusal, or legal inability, to squash court ruling that recently pushed Argentina into its second technical default in 13 years. U.S. District Judge Thomas Griesa ruled in favor of investors that Fernández [correctly] derides as “vulture funds” [they are vulture funds, as documented by investigative reporter Greg Palast] for rejecting Argentina’s restructuring offers following the country’s record $100 billion default in 2001. She suggested the country’s economic woes, including a recession and high inflation, are being fueled by local businessmen in cahoots with outsiders, presumably the U.S.
“There are some players in the economy who want to bring down the government and they want to do it with help from abroad,” she said. The statements show that “U.S.-Argentine relations have hit a low point,” said Michael Shifter, president of the Washington-based Inter-American Dialogue. […] Sitting only one chair away from Obama, Fernandez addressed him directly, which, according to Argentine officials in the room, created evident “discomfort” in the U.S. President, Tiempo Argentino reported Thursday. A picture of him which appeared in that daily, shows Obama with a “deer in the headlights” expression on his face. He did not answer any of the pointed questions she raised. Without stating it explicitly, Fernandez strongly implied that rather than defeating groups like ISIS and allied jihadists, the Obama administration’s policies have allowed them to expand. Brazilian opposition candidate Marina Silva is losing support [campaign support and institutional funds for the Presidency?]. Silva has seen her advantage over third-place candidate Aecio Neves in the Oct. 5 first round narrow to five percentage points from 13 points in less than two weeks, according to a Datafolha poll published Sept. 30. President Dilma Rousseff’s advantage over her surged to 15 percentage points from seven points in the survey, which has a margin of error of plus or minus two percentage points. “Aecio appeared to be dead two weeks ago, but he’s back in the game,” Andre Cesar, director of public policy and business strategy at consulting company Prospectiva, said by telephone from Brasilia. I am curious how much bank control is exerted over Dilma as her re-election campaign ends and the G20 Summit starts? Will Brasilia assume a regional leadership and actively defend democratic governance in the region? 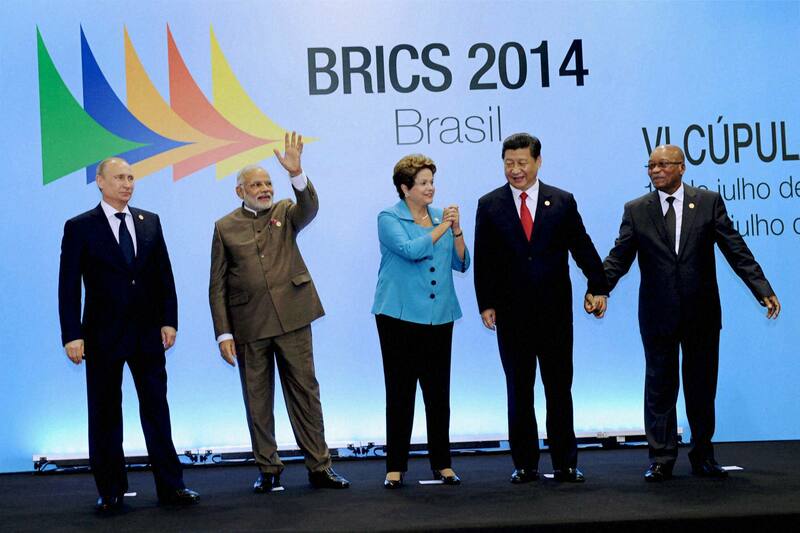 What kind of banking & security agreements will her government and the BRICS pursue with Argentina? The WEST currently is able to set the global agenda, what the BRICS call a unipolar policy, and the West’s 3 major issues are defined as Ukraine, Terrorism, and Ebola. I expect G7 members to echo those 3 issues however we can listen for subtle hints to other issues from the other 13 members, such as a new international monetary policy, the RMB, and currency valuations. This may appear to be a fight among two factions, however that may not be the case. Alejandro Vanoli has gone from being the cop regulating the bank to the executive managing the bank! Will he reveal the documents of crimes in the bank’s finance records and agreements? How much will remain hidden? Will we have public disclosures? How many lives will be threatened? This is A international Crime Story! And the crime story has yet to be told. This international crime story involves executives and officials. In the past this criminal elite class stopped investigations, killed, coerced and bribed to do so. By jumping Ship (USS TITANIC) Argentina has launched herself onto the banksters’ enemy list and the aware media needs to highlight this institutional battle. The people living in the region are at risk of greater suffering but if they champion through with their criminal house cleaning they will be the beacon of liberty for the People on Earth. Dilma Rousseff appears untrustworthy to me, and apparently to many Brasilians too! From dark horse 3rd (last) place poll campaigner to runoff elections against the incumbent, WOW! Aware that 2 Parties have run Brazil the last 20 years… And now the 2 political parties are brokering a deal for support among themselves prior to the runoff. 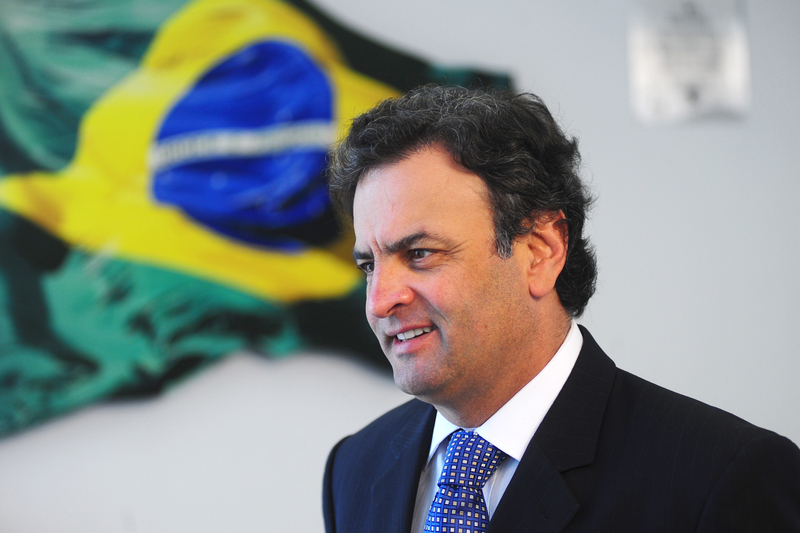 My question to Brasilia: Why would you believe Mr. Aecio Neves is any more trustworthy than Dilma? (Reuters) – A tight runoff campaign for Brazil’s presidency kicked off on Monday with leftist incumbent Dilma Rousseff and pro-business rival Aecio Neves racing to win over supporters of the third-placed candidate after she was knocked out of the election. [Aecio Neves], a centrist senator who had been widely written off until a few days before the first round of the election on Sunday, rode a late surge in support to grab second place with 33.6 percent of the vote. He will now face Rousseff, who won 41.6 percent support, in an Oct. 26 runoff to decide what has been Brazil’s most unpredictable election in decades. where at the bottom with the subject Brazil; I talked about the unpopularity of Dilma in a recession sickened Brazil. I think I have a better pulse reading of Argentina and Brazil than I do of the USA. In the USA I have much more difficulty identifying the opposition and resistance to the elites in control. “Today you pretend making a coalition against the Islamic State of Iraq and the Levant (ISIL), but in fact you’re their allies,” Those are the frank words by Cristina Fernandez Kirchner, the Argentinian President, spoken in a calm and secure voice at the UN General Assembly last Friday, 3 October 2014. Except for Argentina. Her able President Cristina Fernandez, speaks not only for her country, when she talks about victims of economic and financial terrorism, but for all those African, Latin American and Asian countries which are oppressed by the killing boots of Wall Street and the IMF. It cannot be said often enough – the IMF is a mere extended arm of the US Treasury and the FED. Vulture capitalism exerted by these usual villains and the European Central Bank, a mere puppet of Wall Street and led by a former Wall Street banker, are responsible for the economic collapse of the western economy. They have driven countries like Greece, Portugal, Ireland, Spain – and lately also Ukraine – into misery. They have stolen their social safety nets, pensions, employment, housing, education, health care, water supply and other public infrastructure – by privatizing public capital for their private benefits. They could do so thanks to the connivance of corrupt leaders they first put in place with sham elections – or no elections at all. Case in point is Greece, where the Parliament decided to dismiss the socialist Prime Minister George Papandreou, who attempted to launch a referendum in December 2011, asking the people whether they wanted the troika’s (IMF, ECB, European Commission) imposed second ‘rescue’ package of € 130 billion (after a first one on € 110 billion) that would drastically increase Greece’s sovereign debt and force literally a killer austerity program upon its people. At the onset of the manufactured crisis, in May 2008, Greece’s debt to GDP ratio was a manageable 105%. In 2014 the ratio is 175%. Under the structural adjustment program social health care was basically abolished. Many cancer and other chronically ill patients were deprived of their free medical attendance, unemployed and destitute could not afford to pay full price for their medication and treatment – and quietly died. Under extreme pressure from Germany and France – the infamous tandem Sarkozy / Merkel called Papandreou to meeting in Nice at the beginning of November 2011, literally ordering him to withdraw the referendum – or else. Papandreou went home, canceled the referendum on 3 November and resigned. He was promptly replaced by Parliament – without a public vote – by the neoliberal Lucas Papademos, former deputy head of the ECB and – a former Goldman Sachs executive, who allowed the dance of debt and destruction to continue. Argentina would not allow such financial terrorism on its shores – not since they dared to counter the economically suffocating peso-dollar parity in 2001, allowing the country to start breathing and growing again; a highly distributive GDP growth allowing to cut poverty from above 60% in 2001to below 10% today. The same escape from the western kleptomania was – and still is – open to Greece and all those southern European countries in the fangs of greed capitalism. But their leaders and finance ministers are goose stepping to the financial marching orders of Washington’s money masters, Wall Street, FED and IMF. Ms. Fernandez did not mince her words. She also talked openly about western military terrorism, “You killed many innocent people in Iraq and Afghanistan under the name of war against terrorism,” or as the new refrain goes – “Making war for Peace”. She referred to the West in general and to Washington in particular, for whom war and conflicts, weapons sales, is a means of economic survival, as the US economy depends to more than 50% on the military / security industrial complex and related industries and services. Shamefully, many western leaders and representatives left the assembly hall when Ms. Fernandez spoke, of fear they may be associated with her views if they listened to her calling a spade a spade. Perhaps they feared the ridiculous western sanctions, if they don’t behave. It is sad to see spineless world leaders; so-called leaders (sic), who bend over backwards to please the powers that utterly exploit them, stealing their natural resources, putting their people and the environment in peril. A terrorist is whoever does not conform to the western doctrine, whoever insists on national sovereignty – whoever defends their national interests over the voracious interference of Washington and its European puppets – and their killing bulldozer, NATO. The UN should make it an obligation and expression of mutual respect that every country leader and representative attending the UN General Assembly must listen to all the speeches. Each country has a message to give – a message that in one way or another concerns all of us, as we are all connected as humans in a solidary union, regardless of political alliances. The latest economic terrorism inflicted on Russia by the US supported Wall Street et al financial cabal is the down manipulation of the ruble vs the US dollar and other ‘western’ currencies. The ruble has lost 22% of its value since the beginning of 2014 and 15% in the last quarter alone. Call it ‘sanctions’ – if you will – for not bending to the political demands of Washington on Ukraine. The western MSM would like you to believe it has to do with the chaos and continuous murderous atrocities in Ukraine’s Donbass area, for which – of course – Russia is made the culprit, not Kiev’s gang of thugs, a Nazi government, created and funded by Obama and his western puppets. Russia is now forced to buy dollars and Euros – what they least want and need – to stabilize her currency, the ruble. Buying dollars – playing even more into the sledgehammer of the empire – is certainly the last thing Russia wants to do. Currency manipulation is only possible due to the predatory US dollar system, where all international transactions have to be channeled through Wall Street and cleared through the privately owned BIS – Bank for International Settlements, whose owners are a similar lot of financial shenanigans as are those owning the FED. The expected outcome is a devalued ruble, shunned by investors.Little do they know that this usual western shortsightedness is but accelerating the process of Russia and China issuing a new combined currency, delinked form the dollar-euro fiat money and its SWIFT exchange system. In fact, it has already begun. The Central Bank of China has recently offered a hand to the EU, inviting the Euro as one of several currencies that will no longer need the western clearing system for transactions with China.President Fernandez puts the finger right on the wound when she refers to the entire western monetary system as vulture economics. She knows that such an economy is bound to falter and be replaced – gradually as may be – by one that is based on fairness, integrity and that respects nations’ sovereignty.